A few new contenders have come into the ever-growing wireless speaker market. Sony introduced two new wireless speakers, the SRS-X2 and the SRS-X3. The speakers cost either $100 or $150, making them affordable options for those looking to get a into the wireless speaker world. 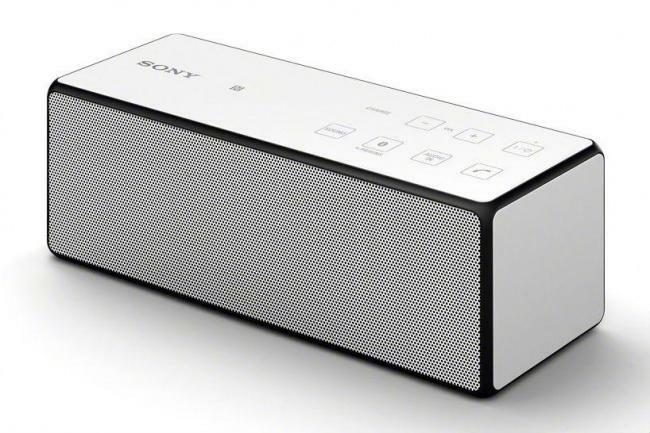 Sony today unveiled a few new wireless toys to add to its rapidly expanding portable speaker lineup, the SRS-X2 and the SRS-X3 Bluetooth speakers. The two models join three other siblings in the SRS-X family, including the SRS-X5, the feature-rich SRS-X7 (reviewed here), and the patriarch of the brood, the SRS-X9. Flaunting Sony's "Definitive Outline" design, the SRS-X3 offers a distinct flare of Rubik's Cube styling to its stretched frame. The $150 speaker hopes to fill the needs of those looking for a Bluetooth blaster in the extremely popular mid-tier segment, alongside offerings from the likes of Bose, JBL, Klipsch, and a myriad of other names in the market, both large and small. Beneath its sleek edges, the SRS-X3 packs dual active drivers powered by a respectable punch of 20 watts, and supplemented with passive radiators at the front and back for enhanced bass response. The speaker offers Sony's proprietary "ClearAudio+" DSP, as well as other features common in the genre, including one-touch NFC pairing for compatible devices, and a built-in speakerphone for hands-free calling. Battery run-time for the X3 is estimated at 7 hours - not bad, but definitely not anything to write home about. The speaker comes in black, white, and red versions. SRS-X2_black_cw-1200 editAt $100, the SRS-X2 sits at the bottom rung of the lineup, offering an extremely affordable way to take your sound on the go. Like the SRS-X3, the X2 is powered with 20 watts of digital amplification, though in a smaller, rounded frame, separating it from the rest of its more straight-laced brethren. Features stack up almost exactly with its older brother, including NFC pairing and an onboard speakerphone, but battery life comes in at a fairly pedestrian 5 hours. The SRS-X2 also comes in black, white, and red. Both new speakers are available for pre-order at Sony's website today, and will be available this June. If you'd like a detailed look at an offering from Sony's new SRS-X lineup, check out our full review of the SRS-X7.